The Order in Court collection: three court room thrillers and the drama that happens beyond closed doors. 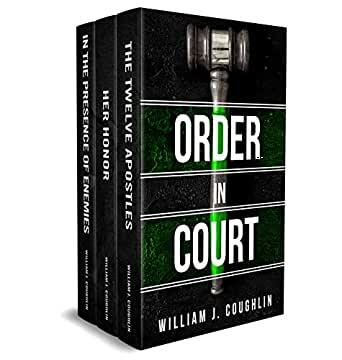 From corporate takeovers to controversial ‘mercy killings,’ Couglin’s novels tell of all the twisted shapes justice can take in the court room and what anyone will do in their thirst for power. Political favours, backroom deals, and corrupt tycoons surround each protagonist as they struggle to thrive in the legal system. William J. Coughlin has combined a career as a United States administrative judge in Detroit with that of a best-selling novelist. His previous, highly acclaimed and successful novels are His Father’s Daughter, Her Honor, In the Presence of Enemies and Shadow of a Doubt. 3.0 out of 5 starsThree books with the same story! 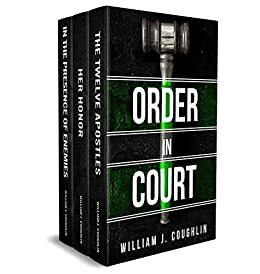 A wonderfully written set of courtroom dramas with lots of twists and turns, interesting characters and a well balanced mix of both legal and personal scenarios. Couldn’t put the book down. 3 great law stories in one book. Entertaining and interesting storyline with lots of twists. Made for a really enjoyable read.